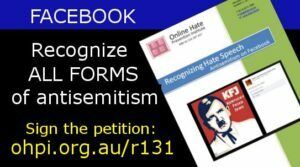 The Online Hate Prevention Institute released a major new report into antisemitism on Facebook to coincide with the International Day for the Elimination of Racial Discrimination on March 21st 2013. 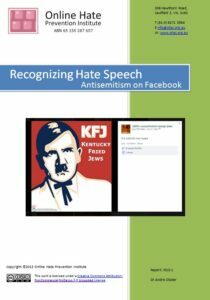 The new report tracks the response to a number of antisemitic items on Facebook. Some of the items were included in OHPI’s previous report in 2012 into Aboriginal Memes and Online Hate, others are new in 2013. The report shows how some items are removed by Facebook while others remain online, some for more than 6 months. The report examines what Facebook removes and what sort of content Facebook does not consider hate speech and refuses to remove. The findings show that Facebook does not really understand antisemitism and has trouble recognizing certain very well known types of antisemitism. This report is a major piece of work of similar importance to past work by OHPI’s Director, Dr Andre Oboler, including his work on Antisemitism 2.0, Replacement Geography on Google Earth, and Holocaust denial on Facebook. It uses a similar approach to OHPI’s major 2012 report into Aboriginal Memes and online hate (which focused on online hate against Indigenous Australians). 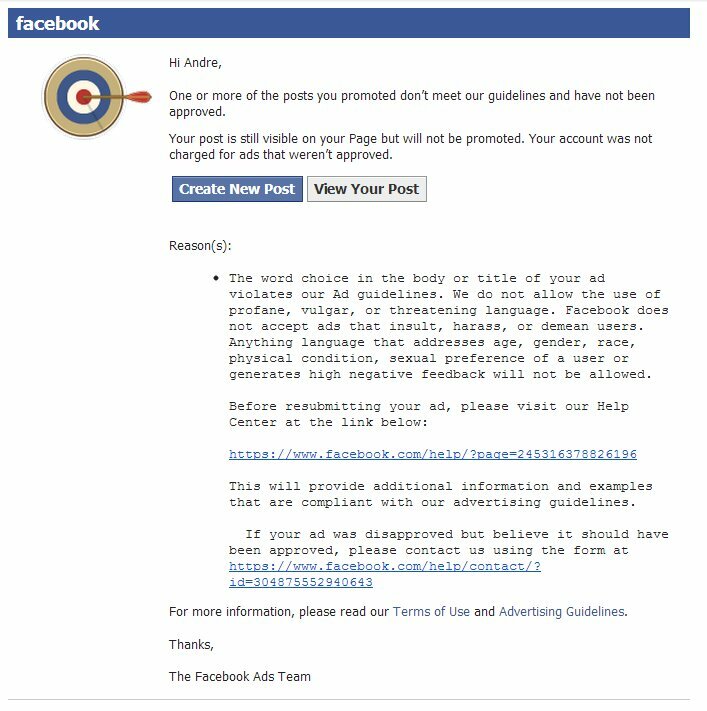 Our request to buy advertising to promote the post announcing the launch was rejected by Facebook. Facebook have since sent us an e-mail with further clarification, this opens a range of issues which we will discuss on Monday the 25th of March. Over the next few days OHPI will update this page to include links to a selection of articles and blog posts relating to this report. Please contact us if you would like suggest an item for inclusion here. “Crece la preocupación por los mensajes antisemitas en la red social Facebook“, Jewish News Agency (Argentina), March 22 2013 (NB: in Spanish) | Also at Iton Gadol.